Domain hosting types are not the same as your hosting account type. Domain hosting types refer to the type of IP address associated with your domain, not the type of account you are using to host your domains. A domain with a dedicated IP address is the only one with that IP address. Since it has its own IP address, you have access anytime you need it. You can even get to the site by typing in the IP address instead of the URL. 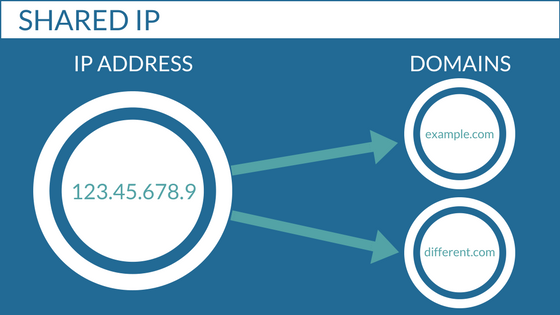 A dedicated IP address can handle more traffic because it has more resources devoted to it. It can also potentially boost your SEO. One of Google’s ranking factors is page load speed, so if your site is slowed down by traffic, switching to a dedicated IP address may boost your site ranking. 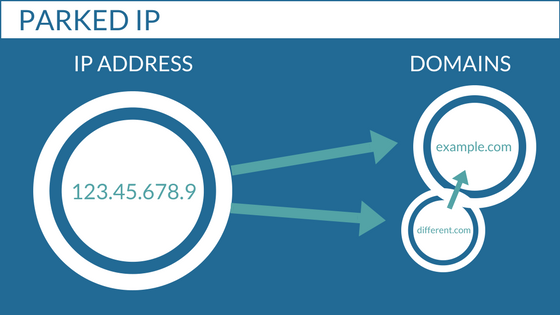 Shared IP hosting shares the IP address of your already-established dedicated IP domain with another domain. When you don’t need to take full advantage of a dedicated IP, a shared IP can be useful. 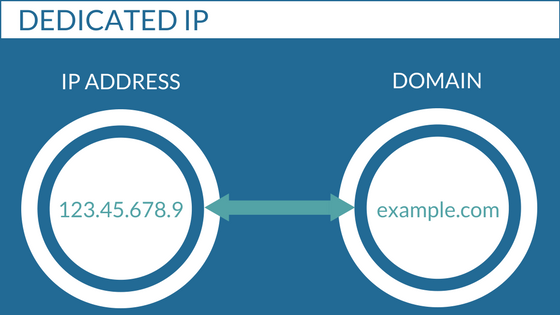 A shared IP can also be beneficial if you want to establish a new site or email address that relies on the established good reputation of an existing IP under your control. Domains can be “parked” on another Dedicated or Shared IP hosting domain name. Parked domains will automatically redirect traffic to the domain name they are parked on. For example, if you park the domain name example1.net on the domain example2.com, users visiting example1.net/about.html will see the page for example2.com/about.html. This is a great option for websites that are in the middle of construction. Until they are ready for viewing, the parked domain will direct traffic to the other domain name. Once the parked domain is finished, it can be switched to another domain type and visitors will be able to see it. Weebly Site Builder IP Hosting is a special type of domain hosting available only to Shared Hosting accounts. A Weebly Site Builder IP Hosting gives the user the ability to use Weebly Site Builder software. The Weebly Site Builder software is only available for Weebly Site Builder IP Hosting. Weebly domains may not have other domains parked on them and they may not share their IP with other domains. The price of a Weebly Site Builder domain hosting depends on the plan you choose. Visit our Weebly Site Builder page to see pricing and what each plan provides. You will see your domains listed under Domain Name and their corresponding IP domain type under Domain Hosting Type. The IP domain type will be listed next to IP Type in the top section, right under the Manage Domain page header. Once you have navigated to your domain and checked its hosting type, you can change the hosting type by following the steps below. Remember, not all accounts are the same, so make sure you are following the steps for your account. Note: Changing Domain IP can affect your domain’s email and website access.